Special Olympics World Games kicks off tonight, and is already setting records – with 200 nations now in attendance. Held in the Middle East for the first time, 7,500 athletes will take part in 24 Olympic-style sports over seven days. 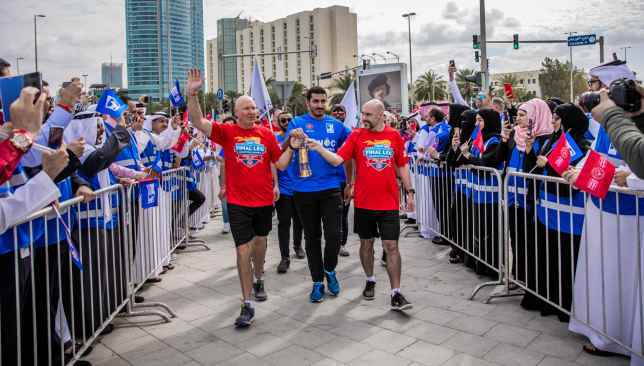 Taking place until 21 March in the UAE Year of Tolerance, the largest sports and humanitarian event on the planet in 2019 will be a momentous display of inclusivity, unity, respect, and sporting achievement. Speaking at the launch press conference yesterday, H.E. Hessa bint Essa Buhumaid, Minister of Community Development, said: “The UAE is proud to gather humanity in the land of tolerance, a meeting that transcends the value and stature of international events with noble respect and dedication to people of determination who represent an important segment in the community. “This successful historical World Games aims at achieving national and international goals and consolidates the values of integration, empowerment and solidarity between community members, nations and countries. 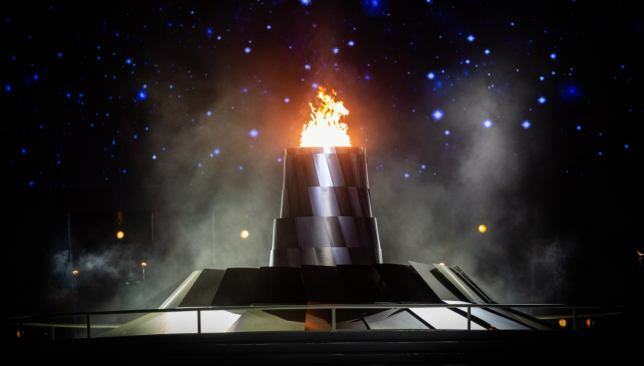 Mary Davis, CEO of Special Olympics International, said: “As we kick-off the World Games, we can celebrate the fact that our movement has made progress in the 50 years since Special Olympics was founded. The difference today is that this is a movement by people of determination for people of determination — and for everyone else. Maryam Thyab, Sargent Shriver International Global Messenger, said: “Participating in World Games is life-changing for people of determination — it literally is that big. 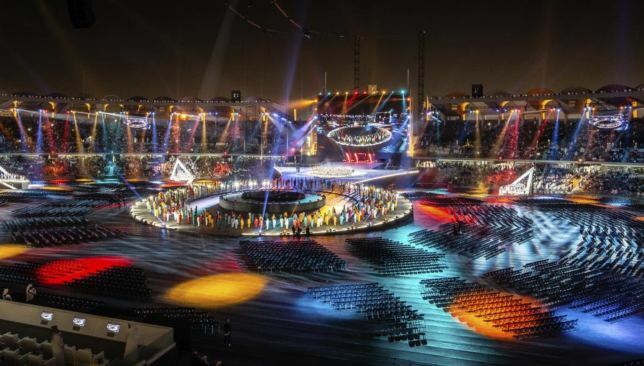 The World Games 2019 will also feature a range of non-sports initiatives such as Healthy Athletes, a Special Olympics program that provides free health examinations for each of the athletes competing in Abu Dhabi, an Inclusive Art Exhibition, Play & Live Unified activities, the Stand Up for Inclusion concert – part of the Abu Dhabi Music & Arts Festival, and the Global Youth Leadership Summit, which officially commences today. 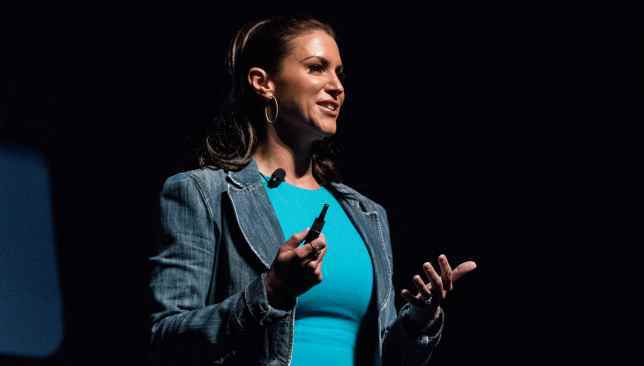 WWE chief Stephanie McMahon has paid tribute to the athletes of the Special Olympics and hailed the partnership between the two organisations. Speaking from Abu Dhabi the Chief Brand Officer spoke of her own involvement in the Games and the inspiration they bring to her and the other WWE superstars. Stephanie also spoke of the time WWE broke new ground in Abu Dhabi by holding a women’s match, a first for the region, and the lessons that can be learned from those taking part this week. “It’s incredibly important for me personally, for the WWE, and for the world, and all cultures to be part of something that is about inclusiveness and bringing one another together and celebrate what we have in common.” she said. 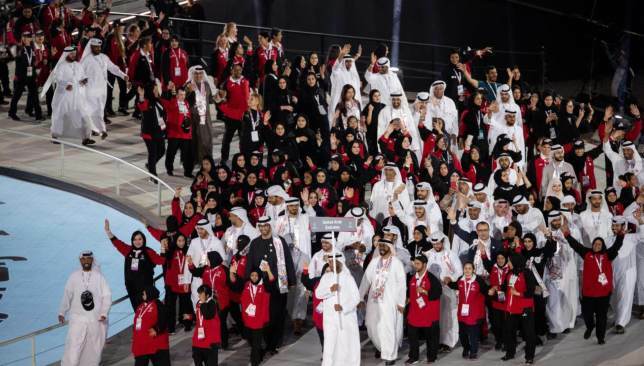 “For Special Olympics to be taking place in Abu Dhabi where we held the first women’s match in the region, and on that night the audience started chanting ‘this is hope’, and now for the first time ever at the Special Olympics World Games there are females athletes represented from every delegation. It is powerful.